Battleborn players will be getting five new, free playable characters - with the first coming later this month. 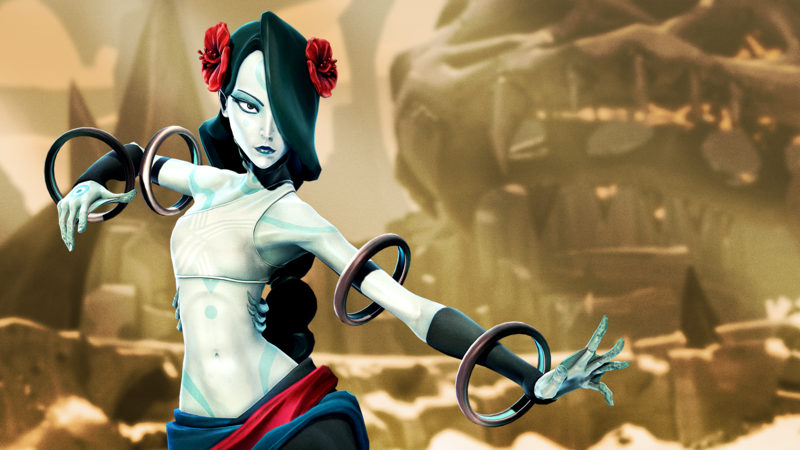 In a press release today, Gearbox and 2K announced that Alani, the first of five new, free playable characters for Battleborn, will release on May 31st on all platforms. If you happen to be a Season Pass holder, or participated in the PlayStation 4 Open Beta, then you'll be getting your hands on Alani on May 24. "Alani is a member of the Eldrid faction who was raised as a healer but forced to be a warrior, and is all that remains of her order after Rendain's Jennerit Imperium stole the oceans from her world," the description in the press release reads. "As a warrior from a planet with vast seas, Alani's attacks and abilities revolve around her power to control water to dish out pain, or heal her fellow Battleborn." While Alani is technically free, you'll still have to work for her. Alani can be unlocked upon release for 47,500 credits, earned in-game, or Digital Deluxe and Season Pass holders can use a Hero Key. When each new character is released, DD and Season Pass players will get a key that unlocks any character in the game. You can use this key on an existing character or the new one. If you use it on an existing one, you will earn the key back when you meet the requirements for unlocking that character had you not used the key. The release also states that information on the next free DLC hero will be coming "soon."